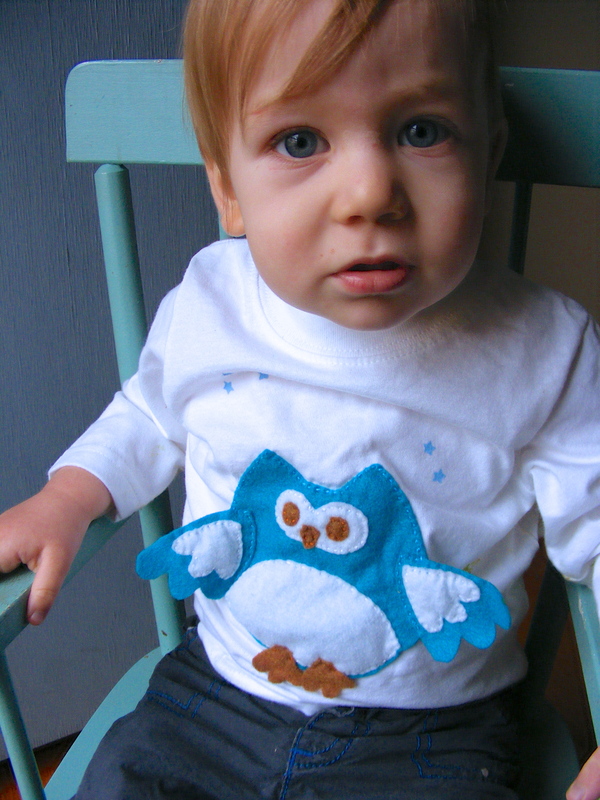 Are we sick of owls yet? Is that trend over? Well, either way, I still like them. And since I have a tendency to scoop up plain T-shirts when they’re on clearance, I had a white tee that was in need of a little … something. 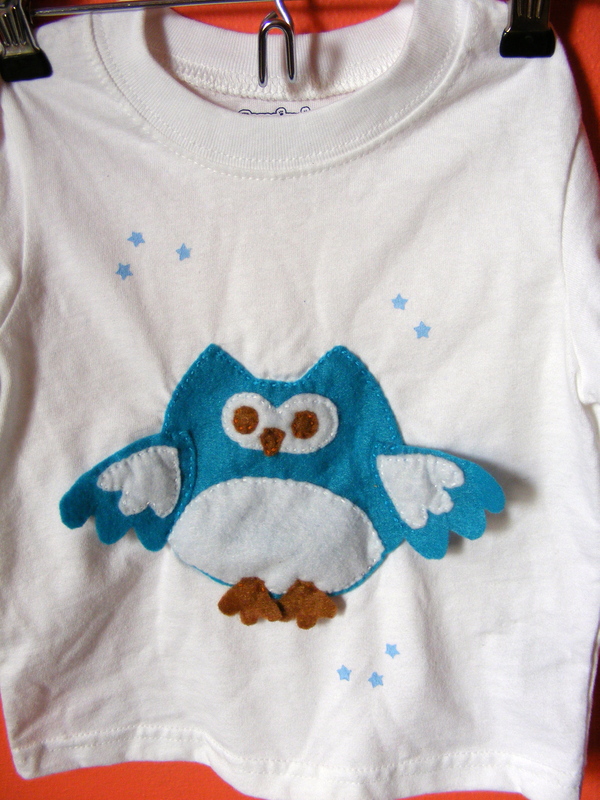 So, a little felt owl appliqué, a few freezer paper stenciled stars, and boring T-shirt no longer. 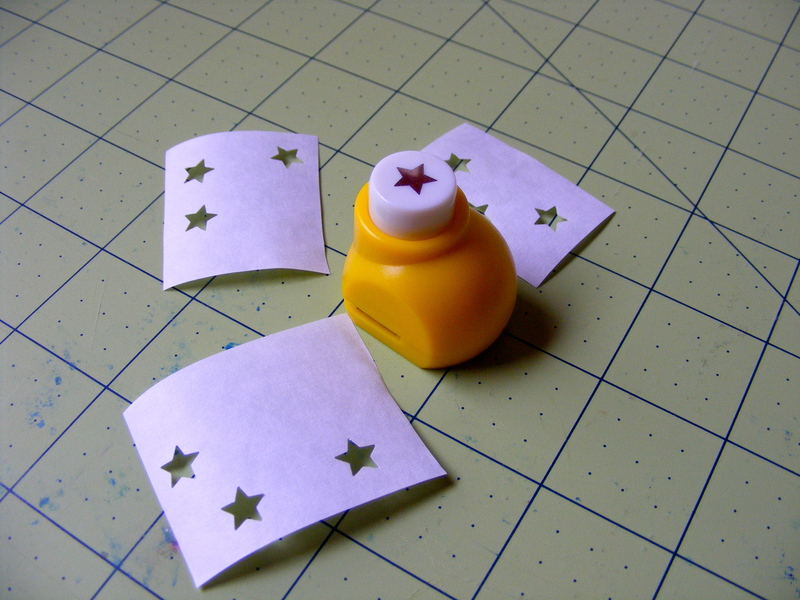 These freezer paper stencils were made using a star hole punch, which is quite possibly the easiest way to make a stencil for fabric paint. And points if you can spot the avocado on his shirt. Because everyone lets their babies eat avocado right before photographing them, right? Previous postHealthy Living eBook Bundle – AKA super awesome books for super cheap! 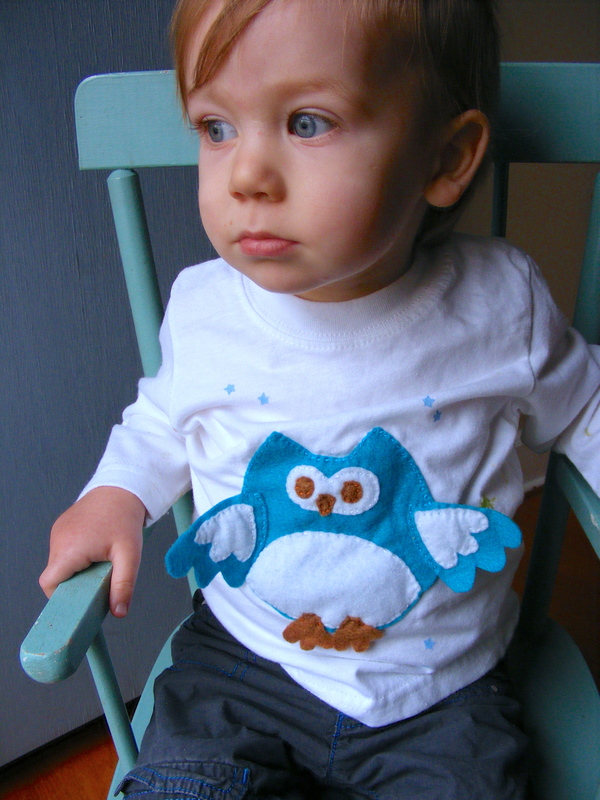 Next postComfy Overalls – the Naptime Pants!